Originally from Seoul in South Korea, Soyoun Park first studied classic dance at the Korean National University of Art. During her studies, between 2005 and 2008, Soyoun Park worked in Goodlej restaurant in Seoul as “chef de partie” and as the restaurant’s assistant manager. 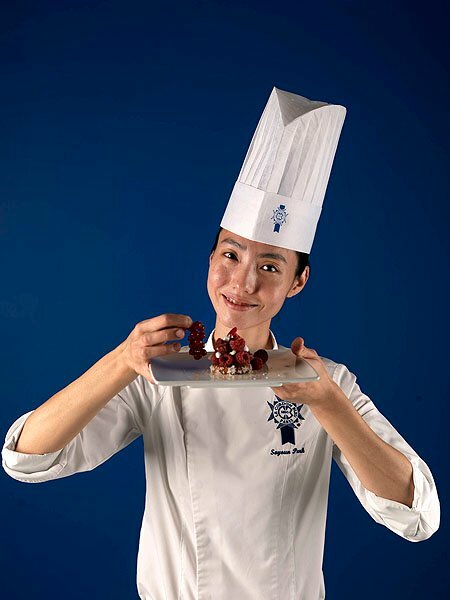 Soyoun Park then decided to dedicate herself entirely to the Culinary Arts and began studying at Le Cordon Bleu Thailand, graduating with a Grand Diplôme in 2010. Between 2011 and 2013, Chef Park worked at Le Cordon Bleu Thailand as Chef Instructor and “chef de partie” in production. In 2013, Chef Park began working as pastry Chef at the Elysian Tea House & Garden in Bangkok, Thailand. She remained there until 2014 before returning to Le Cordon Bleu Thailand to take on the role of cuisine and pastry Chef Instructor. Chef Park joined Le Cordon Bleu Paris team of Chef Instructors in 2016.